Plasma TV stands are a diverse line of entertainment furniture. They offer versatile storage space, a beautiful style, and most importantly, a way to display plasma or flat-screen televisions. Televisions have undergone a rapid evolution in the past decade. They’ve grown in size and in picture definition. Flat-screen televisions have become a common part of many households. As televisions have changed, television stands have transformed right along with them. TV stands come in a variety of sizes to support any size of television. They also offer versatile storage space to store CD’s, DVD’s, DVD players, CD players, stereos or gaming consoles. They also include strategically placed cord holes to allow easy access to electrical outlets. To find top quality plasma TV stands, consider browsing online Amish furniture catalogs or visiting local Amish furniture markets. 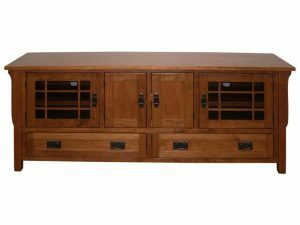 Amish craftsmen offer solid wood, customizable plasma TV stands that are guaranteed to hold up for year after year. As well, they come in a variety of timeless styles, from traditional to modern, simple to elegant, sure to please a person of any taste.